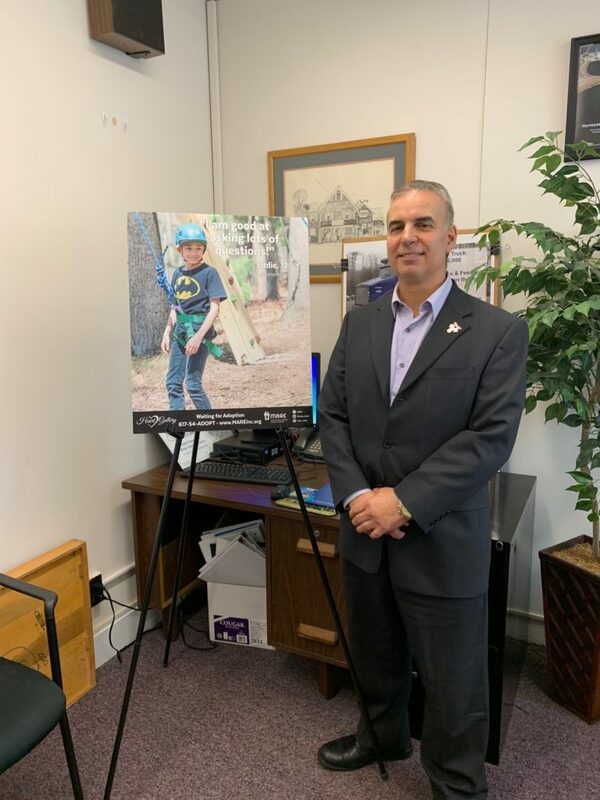 November is National Adoption Month, and Representative Mirra is hosting a Waiting Child Portrait in support. Our Waiting Child is Eddie, age 12, who is still waiting for adoption. The Massachusetts Adoption Resource Exchange is a nonprofit agency whose mission is to provide adoptive homes for children and teens in foster care. MARE works with the Massachusetts Department of Children and Families to help these children find permanent homes, and provides services for children waiting to be placed as well. Please visit www.mareinc.org or call 617-964-6273 to learn more about how you can help and get involved.